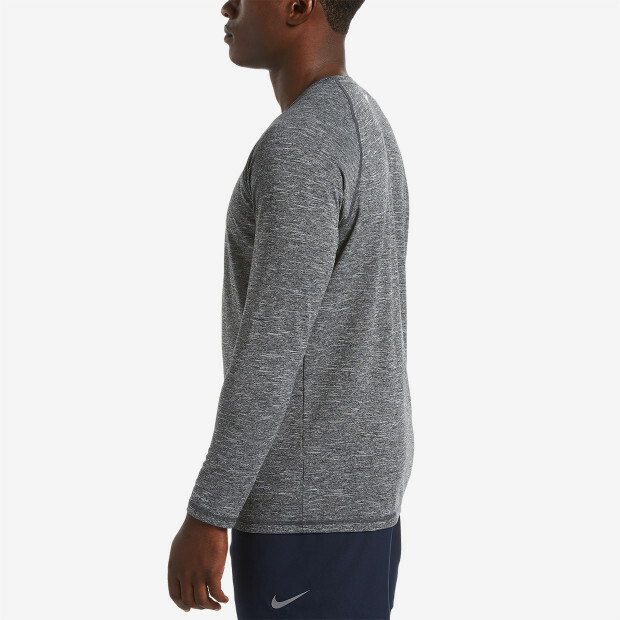 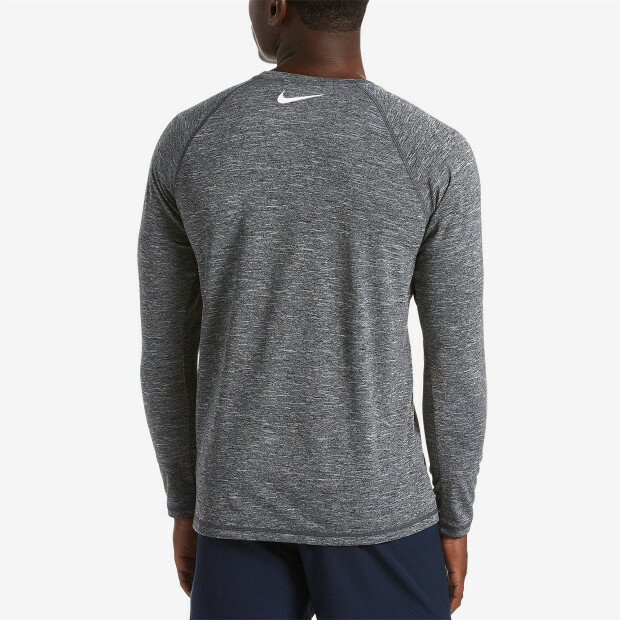 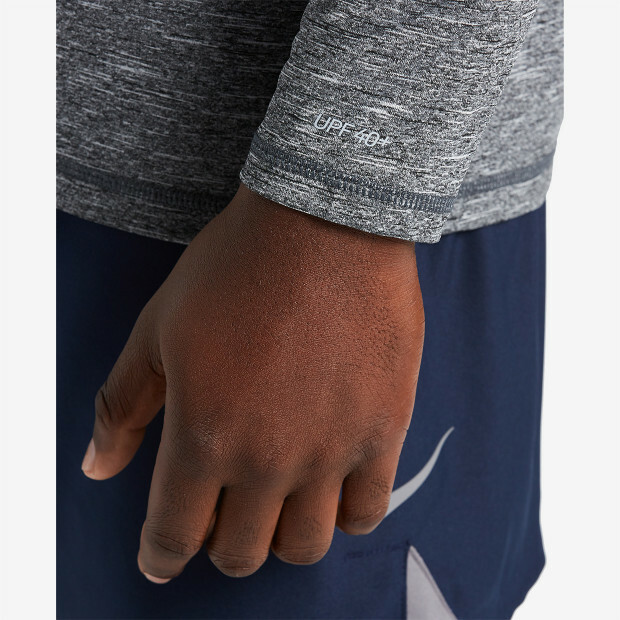 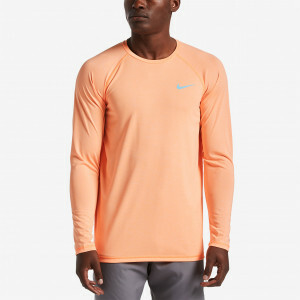 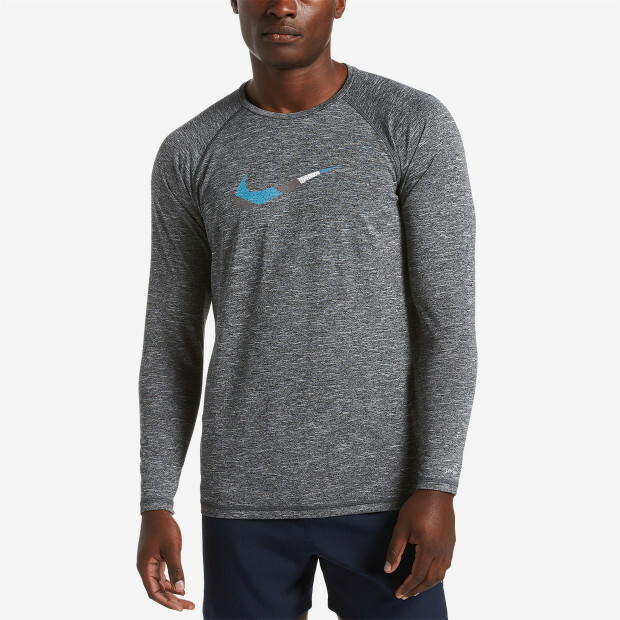 Nike Swim Men's Heather Mash Up Long Sleeve Hydroguard is a comfortable choice for sun and surf. 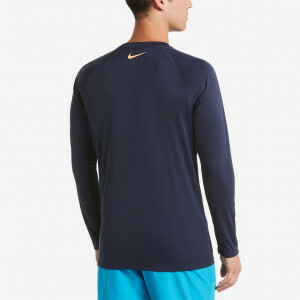 It boasts full upper body UPF 40+ sun protection and Nike's Dri-FIT technology to shed moisture quickly. 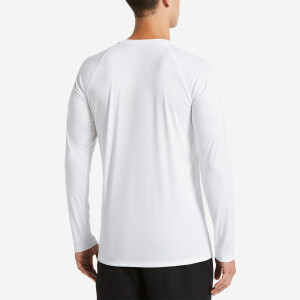 This long sleeve rash guard in heather jersey fabric is finished with flat seams to prevent chafing for greater comfort.